Mr. Benson began his career as a Volkswagen service technician earning Master Registered Technician and Distinguished Service Advisor designations before being promoted to Technical Service Manager. Subsequently, during his 23 year career with Petrochem Insulation, he helped the company grow from $20 million to $150 million in revenue. As the V.P. 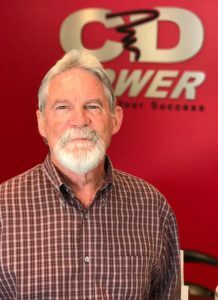 of Marketing and Business Development, he was directly involved with the expansion of services into many of the same industries and market segments that CD & Power values as their core clients. Jill Collaro, President, summed up the acquisition best.